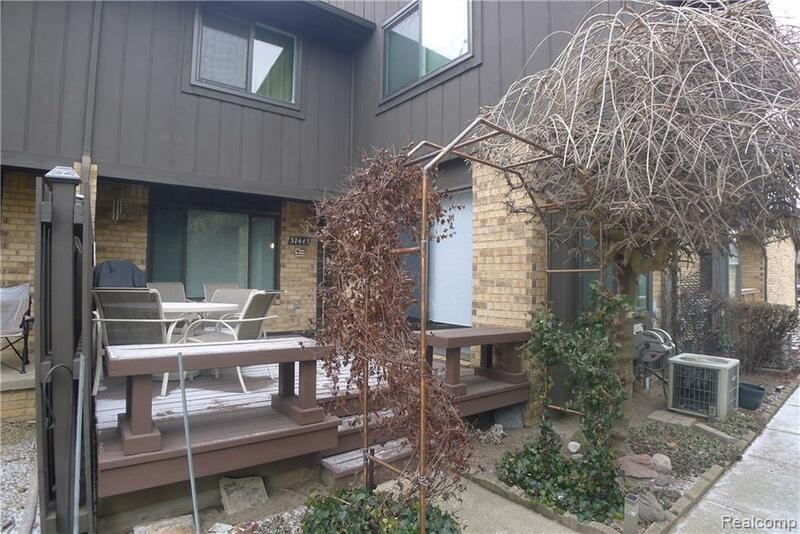 Great LEASE opportunity located in the Plum Brook Village condo development. Move-In ready and immediate occupancy available. Easy care ceramic through out Foyer, Kitchen and DR areas. Large carpeted Living Room. Entry level, updated Lav. All appliances stay. Big Master BR w/ lots of closet space, private entry to dual entry full bath. Large 2nd BR w/ large WIC. Finished basement, great for Family Room or Rec Room space. Newer washer / dryer. Newer vinyl windows, energy efficient and very quite. Private, secluded deck. Detached garage w/ opener. Complex features Clubhouse, Pool, Tennis Court. Tucked in next to the Plum Brook Golf Club, unit is located to back of development, part of the 2nd phase. Water, ground maintenance & snow removal included. Sorry, no smokers, no pets. Application, Cleaning Fee, 1st month rent and 1 1/2 month security deposit required at lease signing. No virtual showings, Licensed Agent must accompany Tenant during all showings prior to lease signing. Special Policies Some Furnishings (Entertainment Center Dr Set Ect... Can Be included W/ Lease.